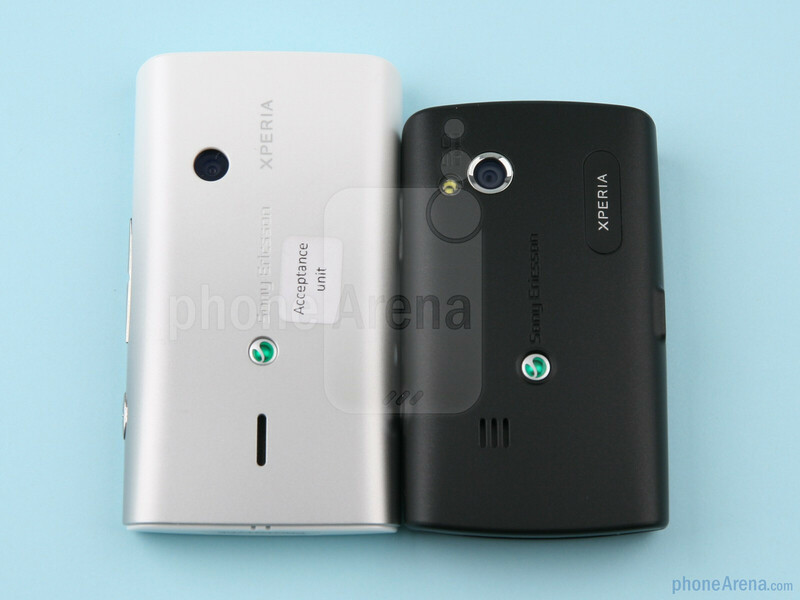 Looking at the Sony Ericsson Xperia X10 and X10 mini, you just can't help but notice the overwhelming difference in size between the two Android smartphones. In fact, this difference is so great, that one would hardly believe there isn't something in between. 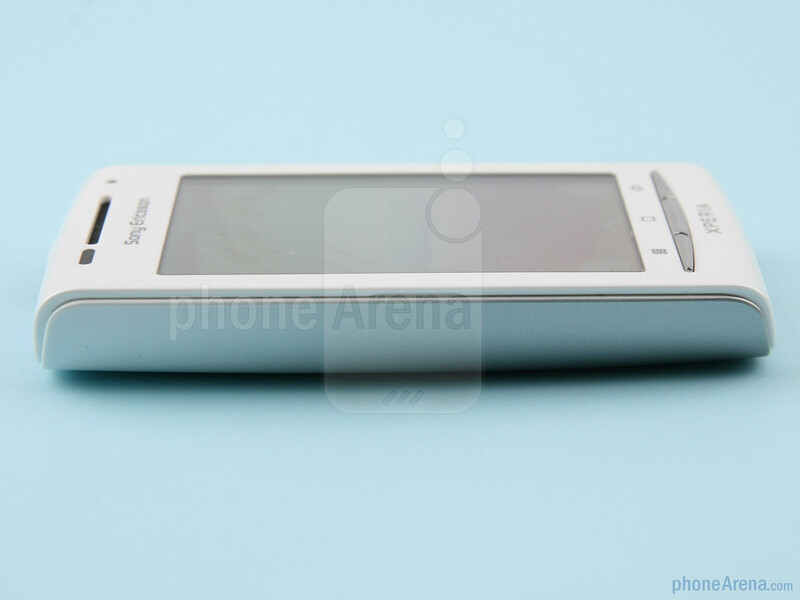 Well, at first, there wasn't, but just a few days ago Sony Ericsson filled the gap by announcing the Xperia X8 - a mid-end Android phone. 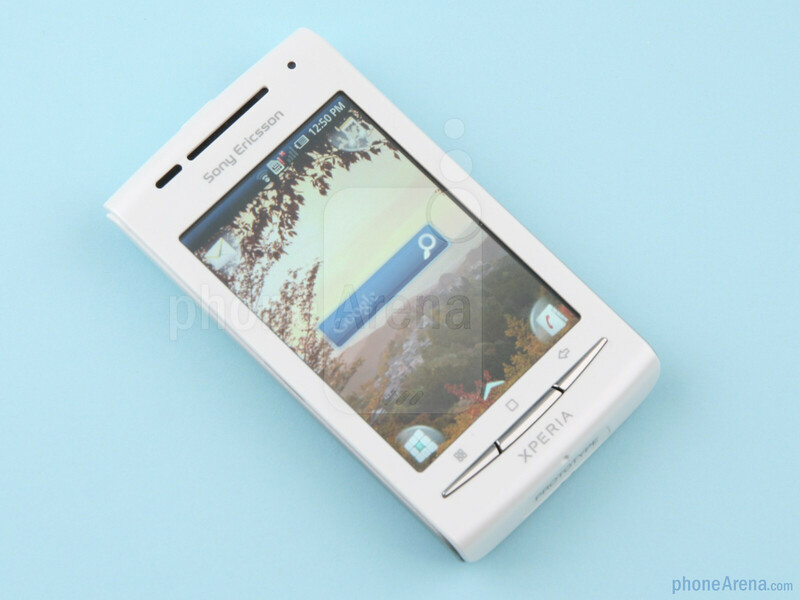 For good or bad, the Sony Ericsson Xperia X8 is more similar to the X10 mini, than the X10, which is mainly because of the fact that it utilizes the X10 mini's user interface. On the hardware side however, it does a decent job at differentiating and conveniently establishing itself in the mainstream space. 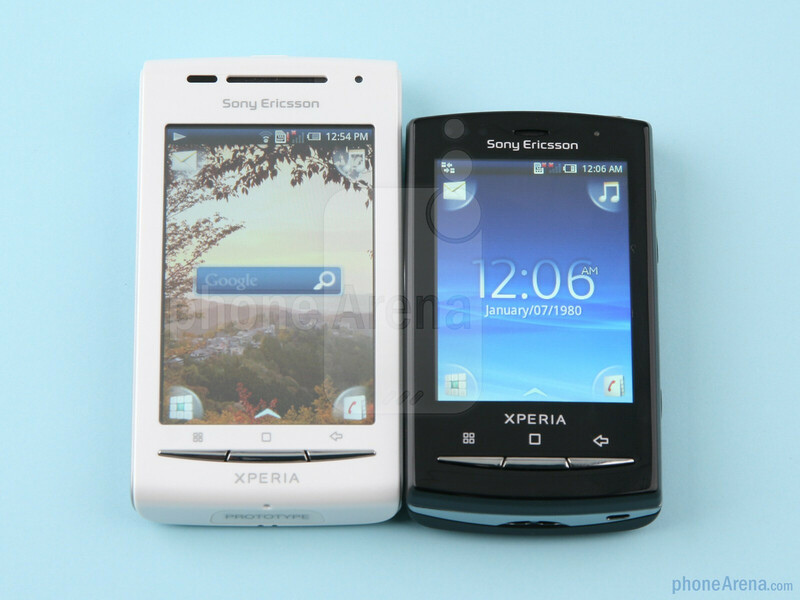 The Sony Ericsson Xperia X8 is pretty similar in design to the X10 mini. They may actually look almost identical, if you don't get the chance to place them next to each other. In reality though, The X8 shows its superiority by treating you to its 3-inch capacitive LCD screen with resolution of 320x480 pixels - more than enough for this screen size. Because it is a standard TFT (IPS LCD or AMOLED have yet to work their way to the mid- and low-end), the screen suffers from some poor viewing angles, while the image quality itself leaves much to be desired. Although it should have 16 million color support, color gradients are far from perfectly smooth. Not that this is all unbearable, but we've come to expect a bit more from mid-tier offerings these days. 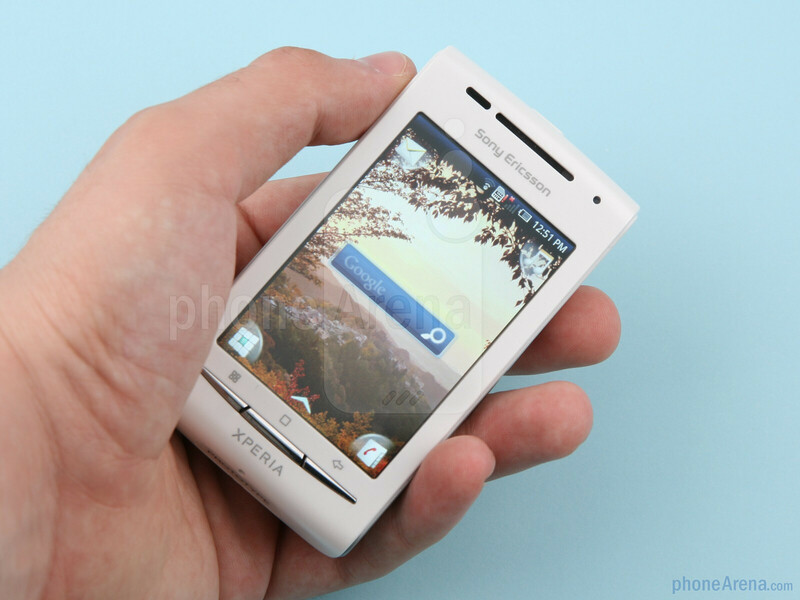 Below the screen you can find the mandatory menu home and back keys that are totally in the style of Xperia Andorid phones. 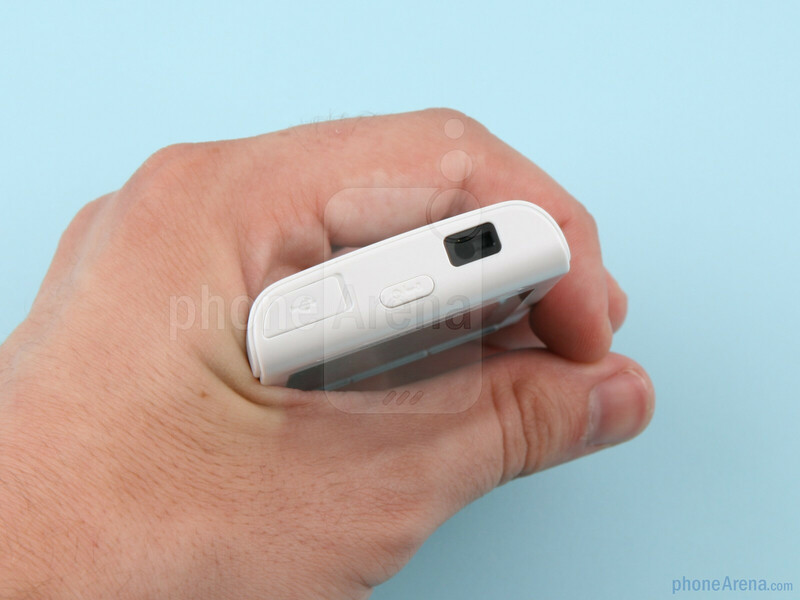 The right side is where the volume rocker and one-step camera shutter (the 3.2MP camera lacks autofocus) are situated, and on the top you have the power/lock key, microUSB port and 3.5mm connector. 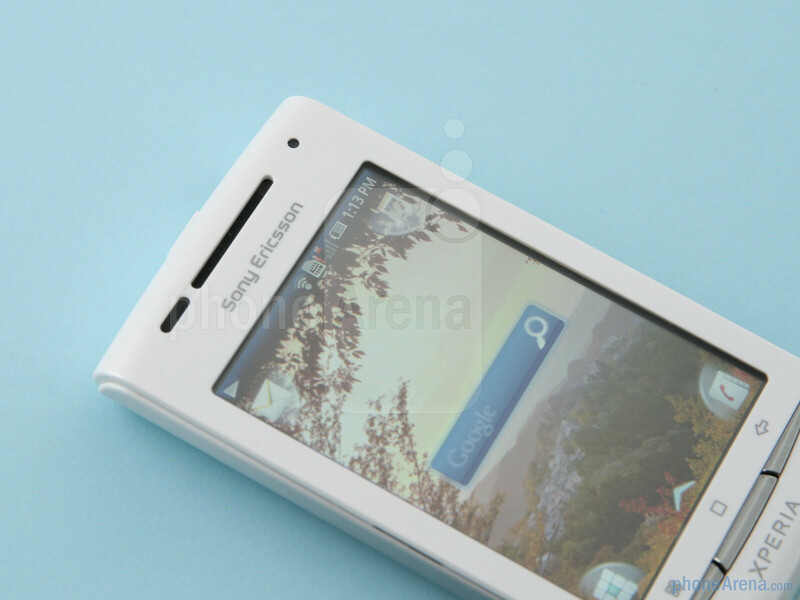 The Sony Ericsson Xperia X8 is by no means an unattractive phone. Quite the contrary, it is one of the better looking Androids out there. 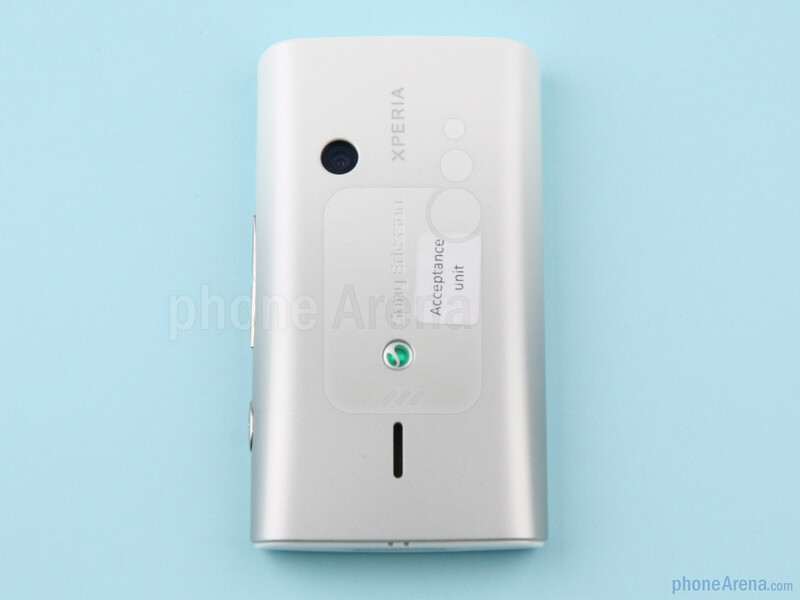 Unfortunately, the X8's body has a bit of a cheap feel to it, mostly because of the plastic used for the rear cover. 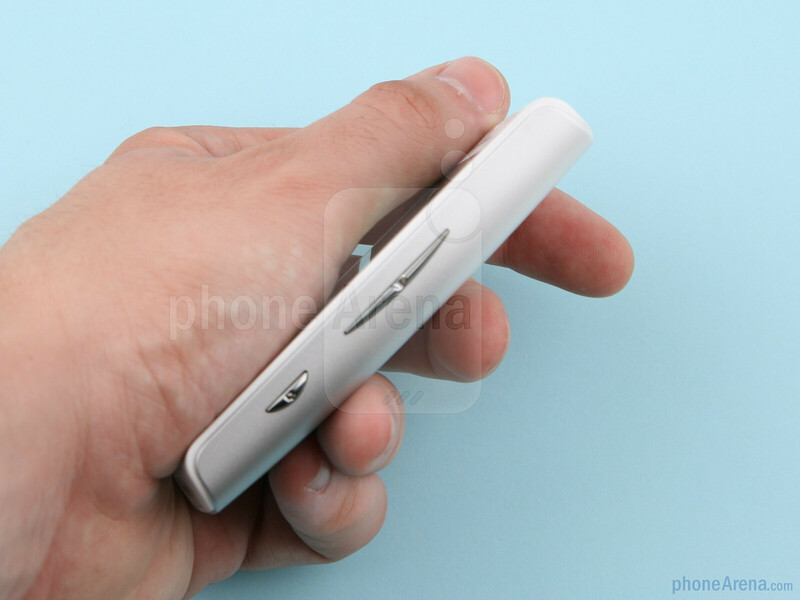 We would have definitely preferred the X10 mini's soft-touch matte coating. 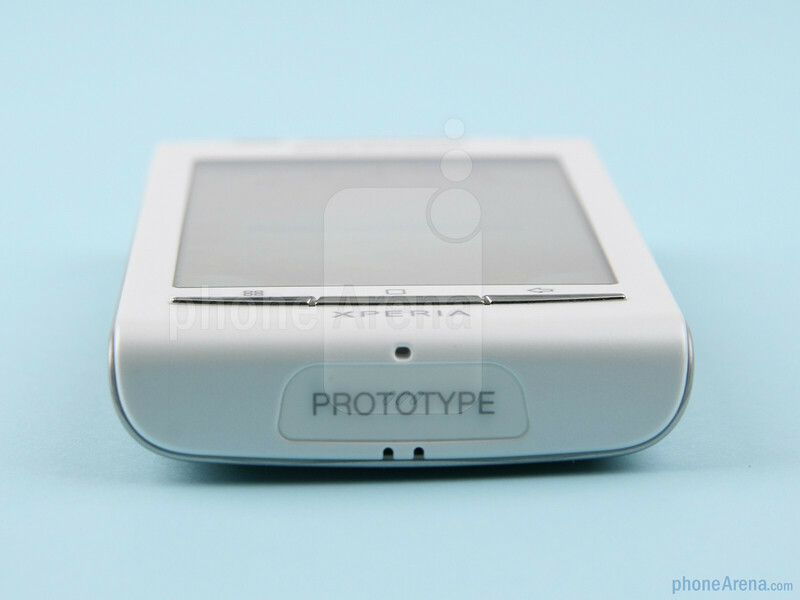 Nonetheless, it is still a very elegant device to say the least. All of Sony Ericssons phones are starting to look the same. How boring. 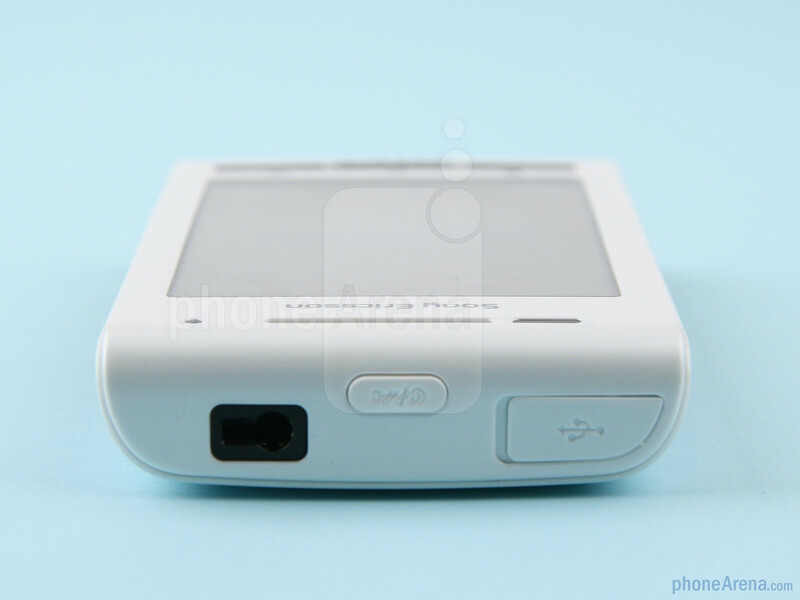 Finally a smartphone that is´nt a brick like iphone or X10 or toooo small like x10 mini. Well, for the design is nice - better than X10 (too big) and X10 mini (too small) however the andriod OS that I am not satisfied with, it would be ok if using Symbian rather than Android - to be frank OS android was very terrible to use for sync with the outlook - I still do not know how syncing with Outlook or may be someone has ? syncing for contact more than 1000 (incl email,etc..) , it required an effort..
Great and an attractive phone I bought it last week and it works pretty decent on everything i do. I m just missing the equalizer and a LED flash I had on my W705 I can live with the rest for years. And just waiting for Sony Ericsson to update it to 2.1 to make things even better. no Flash support in browser. does this have any solution and is there possibilities of bluetooth file transfers.